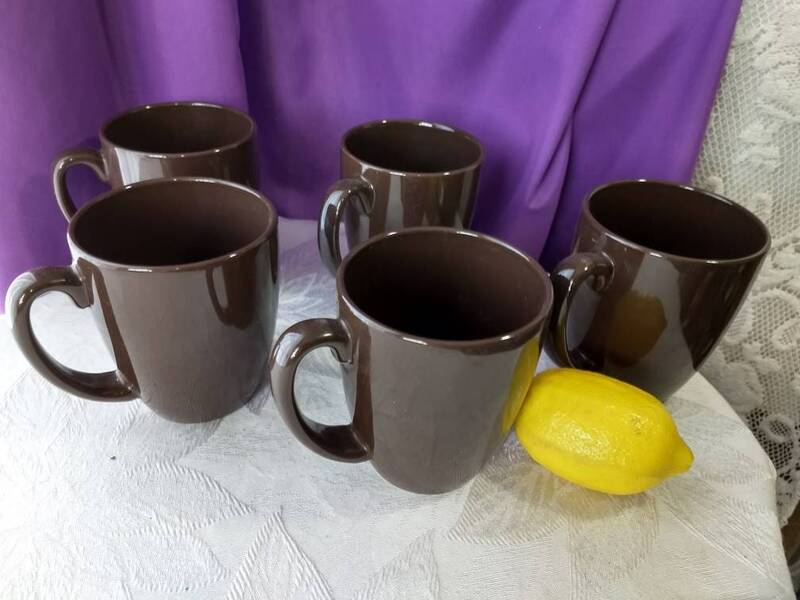 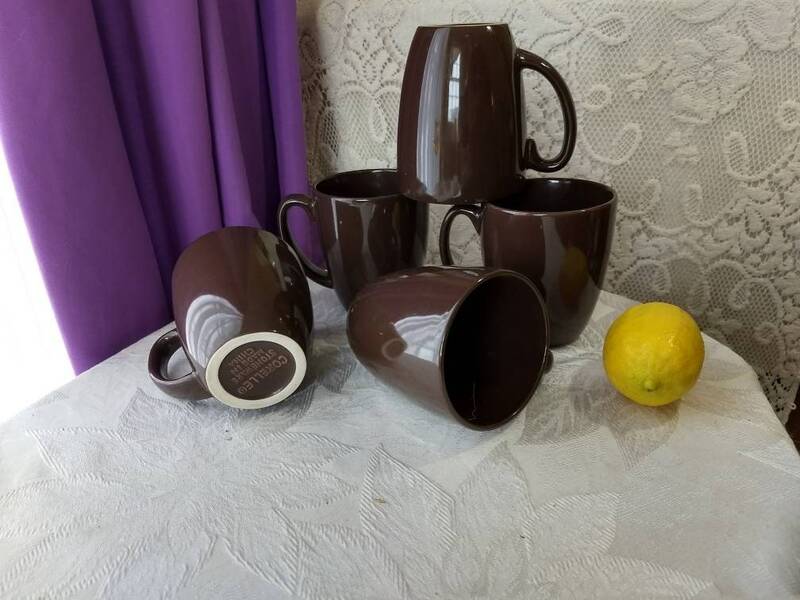 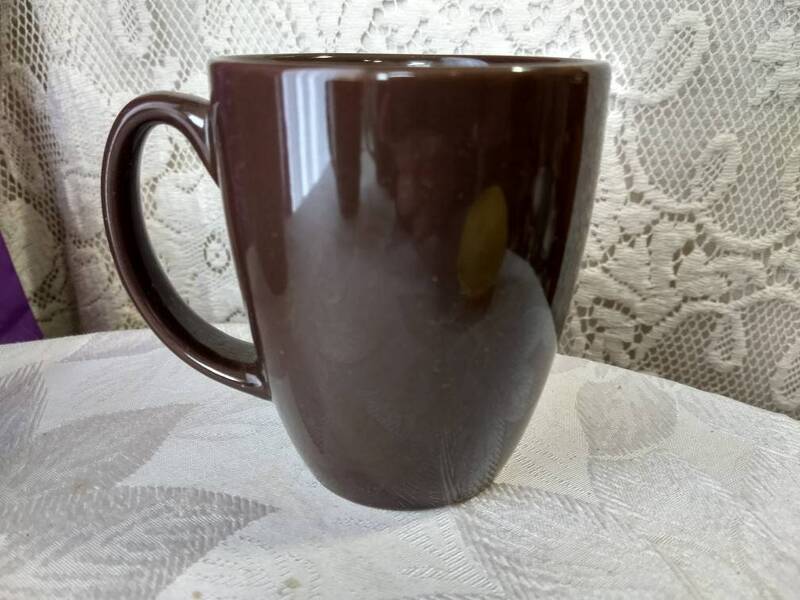 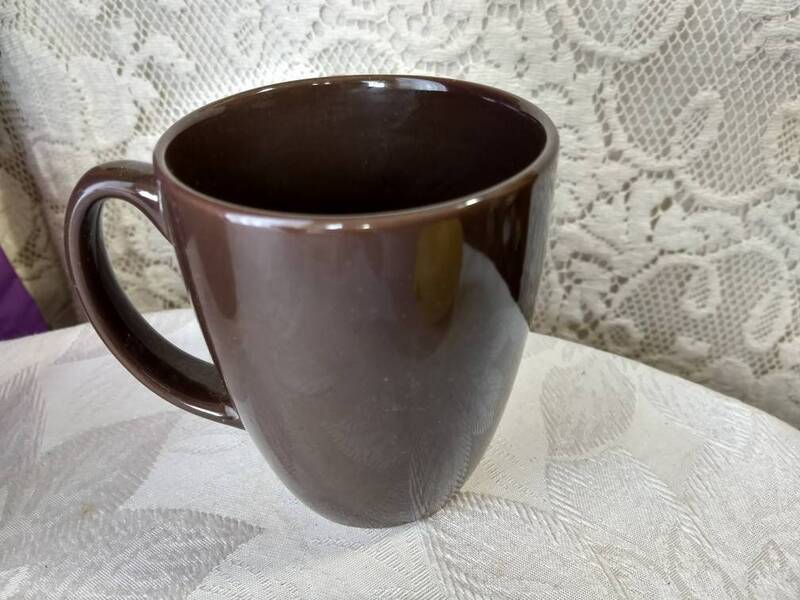 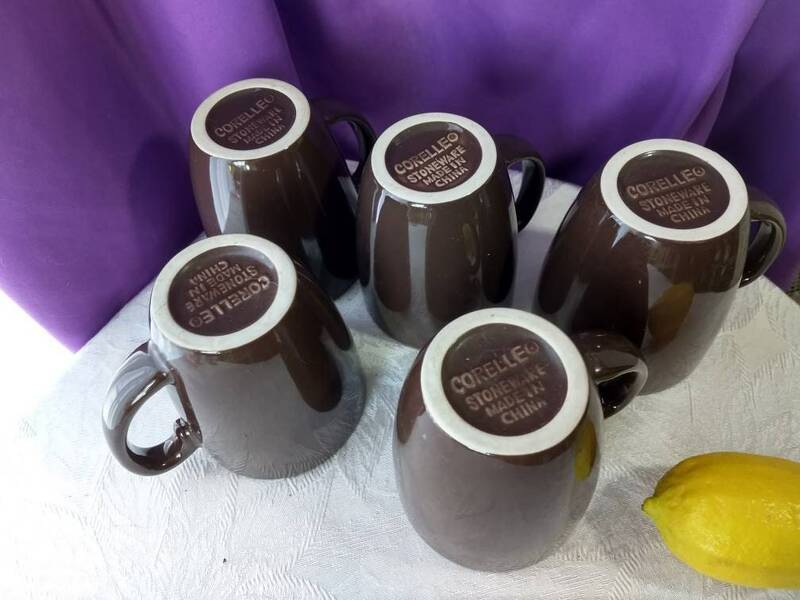 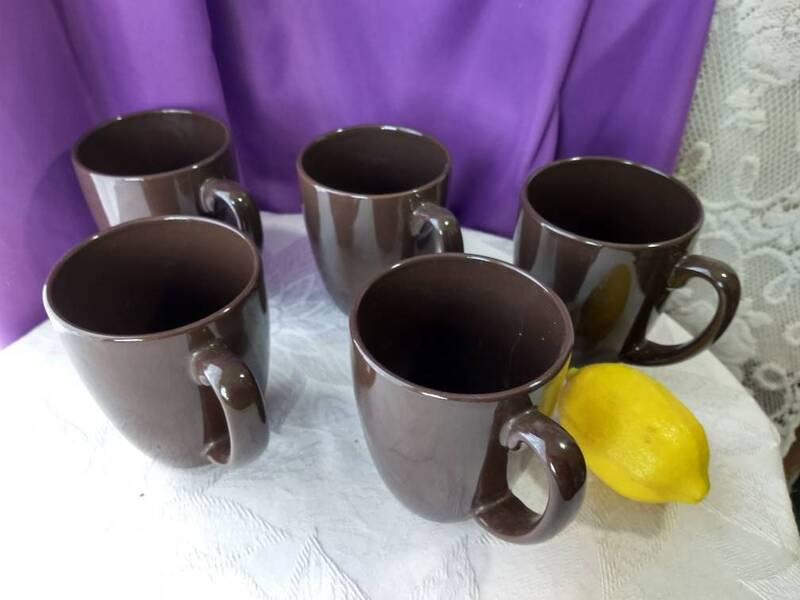 Brown Corelle Coordinates Stoneware Coffee Mugs by Corning. 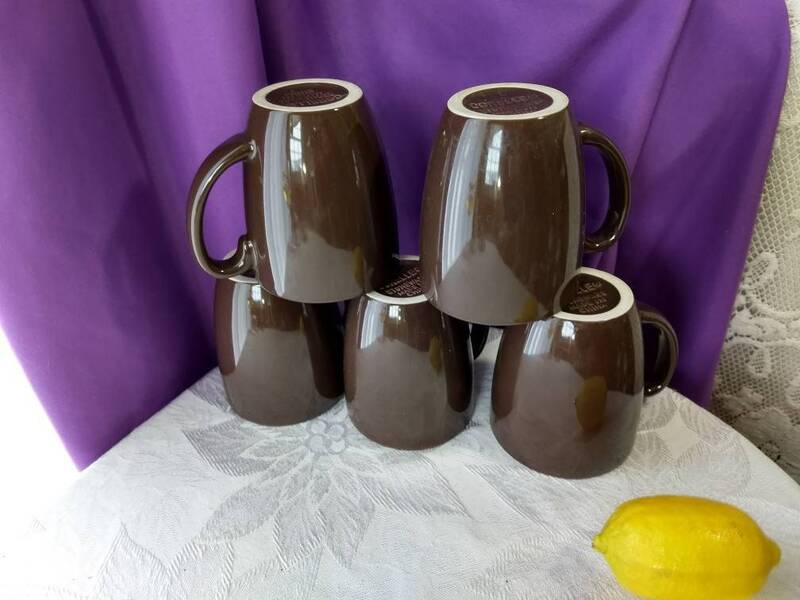 They are a Dark Mocha Brown color. 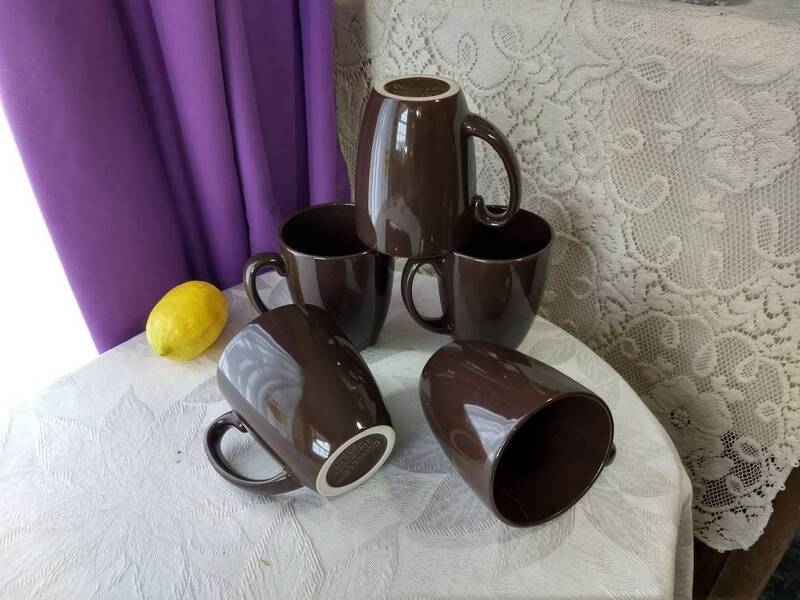 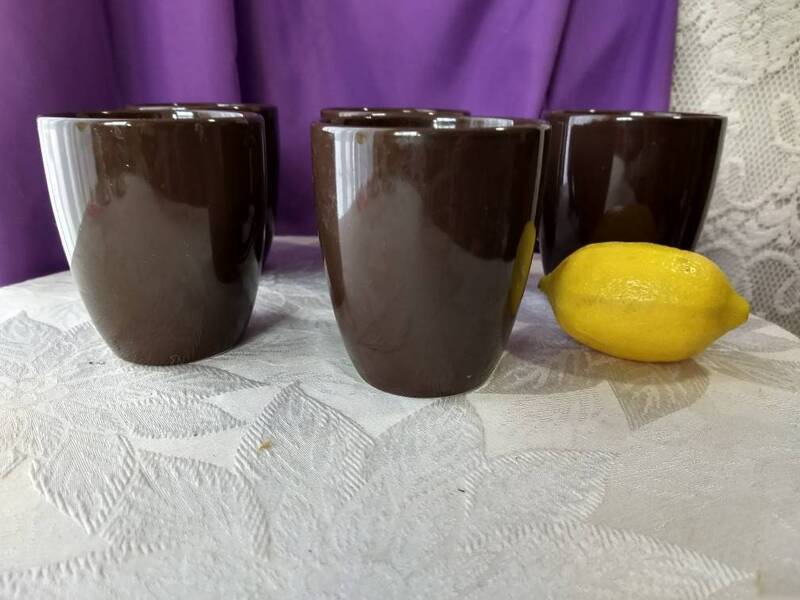 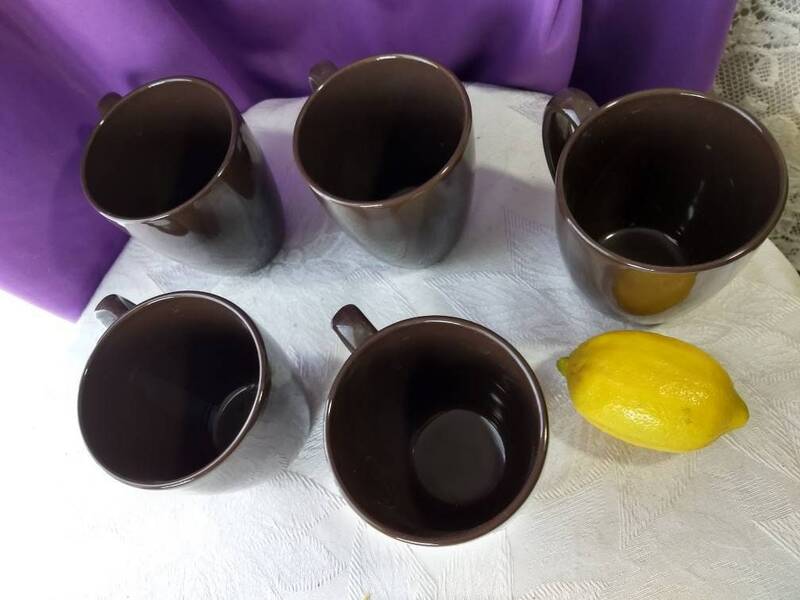 These are the original Corelle Coordinate Coffee Mugs from the 80's.